I didn't leave my legs on the battlefield in Afghanistan to come back to an America where Obama's socialist vision is the new reality. So I decided to take action and run for Congress. But I can't win without your help, get me to Congress? On September 19, 2010 while deployed with Army Rangers in Afghanistan, my life was changed forever when I was struck by an improvised explosive device (IED). The IED claimed both my legs, a finger, and part of my forearm. It was a sacrifice I knew I might have to make for my country. I didn't give up so much to come home to a country where the politicians keep taking more and more of our money only to spend this country into bankruptcy. We must stop Obama and the radical liberals and reverse the destructive course they've set us on. If you watched the Republican debate a few nights ago you know any one of the candidates for President would be far better than anything the Democrats have to offer. Hillary Clinton? Joe Biden? They're laughable. But the truth is no matter who the next President is we must win Congress for Conservatives. Because a Republican President won't be able to do anything without a solid Conservative majority in the House. And if (God forbid) a Democrat wins the White House, they'll be able to ram any liberal policy through if they have a wishy-washy Congress. I made sacrifices for this country, and I would do it all over again in a heartbeat. 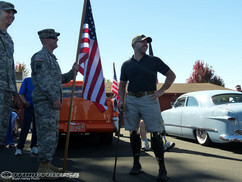 Won't you sacrifice now to take our country back from Obama and his liberal cronies? I would be honored to receive your support. The recent killing of five Marines in Chattanooga, Tennessee by a 24-year-old radicalized Islamist named Muhammed Youssef Abdulazeez is just another episode in the ongoing Global War on Islamic Terrorism. President Obama and his administration refuse to name this and other attacks as domestic terrorism carried out by radical Islamists, but more and more Americans have started to realize that the United States has become the new battleground for these Islamists. 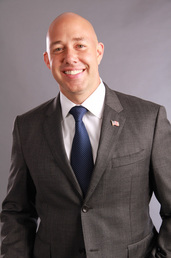 While many elected officials, including President Obama refuse to acknowledge the fact that radical Islam is waging war within the U.S., recently announced Congressional candidate and combat veteran Brian Mast, who lost both of his legs in an IED blast in Afghanistan fighting radical Islamists like Abdulazeez, became the first politico to break down the dirty truth about the escalation of Islamic terrorism in the United States. Americans need to come to the realization and get past the point of speculating about whether or not Islamists groups like ISIS, who have called for attacks in the United States, will begin to wage war within our cities and towns. The United States is radical Islam’s new battlefield. Oddly enough, every single one of Mast’s Republican primary opponents, Carl Domino, Rebecca Negron, Tod Mowery, Rick Kozell, and Paul Spain, not to mention Democrat congressional candidate Melissa McKinlay, have not made any comment on any social media platform about the terrorist attack. Not even a blurb of condolence. All of these candidates are running in Florida’s 18th congressional race-the race Allen West lost in 2012 to Democrat Patrick Murphy. It appears that the Islamist sleeper cells that have been living among us for years, have been woken up. Is the U.S. radical Islam’s new battlefield? If you agree, share the story on Facebook below, and tweet it.